From an early age, we are filled with dreams about what it will be like to have a baby. We see our mothers, aunts, and friends go through pregnancy, watch tv shows and movies that romanticize the miracle of childbirth, read magazines, follow Pinterest boards, and watch Instagram stories that inform our visions about what pregnancy and delivery will look like for us. And then, inevitably, those plans are turned on their heads. Maybe you don’t feel “the glow;” maybe your “morning” sickness is an all-the-time sickness that lasts through the whole nine months of pregnancy; maybe your nesting instincts never kick in and instead of getting that burst of energy that carries you through a trimester, you’re tied to the couch with swollen feet and an exhausted body. Sometimes, the worst fear of all is realized — your doctor takes one look at a carefully-crafted birth plan and tells you it can’t be done. Having a Caesarean delivery (or C-section) can be a frightening prospect for a new mother, and one that is rarely planned for. Debunking the myths about C-sections can go a long way toward alleviating the sadness and disappointment that occurs when a birth doesn’t go as planned. Some forums may tell you that there is no chance for trial of labor (TOLAC) or vaginal birth (VBAC) after having a Caesarean delivery. As with any myth, this has some basis in fact. Vaginal births can be dangerous given factors like weight, health of mother and baby, time since last C-section, and the placement of the scar from previous C-section. However, it is not true that you will always need surgery going forward if you get pregnant again. You should always work closely with your doctor to determine whether a vaginal birth is a healthy option given your history of risk and the resources of the hospital, but be assured that surgery for one birth does not predetermine your options for future pregnancies; in fact, the American College of Obstetricians and Gynecologists estimates that 60-80% of women should be able to have a successful VBAC. Of course, while VBACs are an option for many women who have delivered by C-section, there are cases where risks necessitate repeat C-sections. While risks can increase with repeat surgeries, as with any kind of delivery, the need to deliver by C-section does not necessarily limit the amount of kids you can have. Victoria Beckham, for example, has been very vocal about the fact that her four children were all born through C-section. It is true, however, that risk associated with future birth is lessened with vaginal delivery, so doctors recommend that if you plan to have a big family, and there is no medical need to have a C-section, then a vaginal delivery is preferable. If you’ve had a C-section or have scheduled one for your current pregnancy, you have probably been on the receiving end of such well-intentioned comments as “you’re so lucky, you know exactly when you’ll deliver!” or “it must be nice to skip labor.” Often these comments are meant to be reassuring — to show the silver lining to a potentially frightening experience — but they can also create deep wounds and foster feelings of inadequacy. 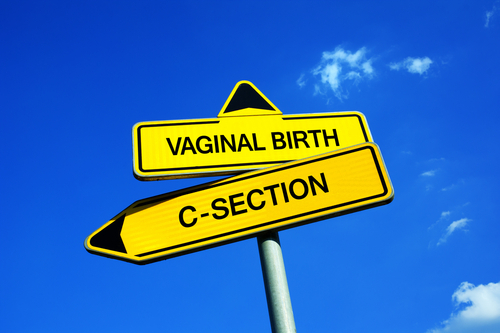 Going off of the myth that a C-section isn’t a “real” birth, many women think that they can’t or shouldn’t participate in many of the rituals that generally precede childbirth, like making a birth plan and taking birth classes. This can contribute to the sense of embarrassment, alienation, and inadequacy that some mothers may feel from not doing things “naturally.” Just because you are not delivering your child vaginally does not mean that you don’t deserve to know what your body will be going through, to be empowered through awareness and preparation. Birth classes and plans are available for women and their partners that aid in preparing for the specific challenges the body and mind will endure during a C-section, and will provide many tips and tools for creating the most positive experience possible. A particularly pernicious myth, this idea that a mother cannot breastfeed after a C-section, contributes to fears that the natural means of bonding and nurturing a baby will be denied to her. This is not true. While post-surgery causes can contribute to an initial discomfort with breastfeeding, the medications that you may be prescribed are not harmful to the baby. A meeting with a lactation consultant can help in figuring out the best positions, and other issues you may be struggling with such as latching (issues, by the way, which any mother may encounter, regardless of the way she delivers). Breastfeeding and skin-to-skin time with your baby can often go a long way to establishing a bond that may feel lost through a surgical delivery. Above all, know that bringing a baby into the world is a miraculous feat, no matter how it happens. Don’t hold yourself to arbitrary standards for the “right way” or “wrong way” to have a child, but be empowered by the act itself. You are strong, and you are courageous. Chief Growth Officer for Babyscripts, the leading virtual care platform for managing obstetrics. How It’s Ok To Not Be an Ideal First Trimester Mom.